There’s been a lot of negative publicity about fruit juices recently, with many news articles homing in on orange juice and the free sugars it contains. Free sugars are those that are added to food, or which are found naturally in fruit juice – even those that are unsweetened. It does not include the sugars present in whole fruits so if you peel an orange before eating, its sugars do not contribute to your free sugar intake. If you squeeze the orange and drink the juice instead, however, its free sugars do count towards your daily limit of no more than 30g per day (from the age of 11 onwards). As well as providing vitamin C, fresh orange juice is a rich source of a type of antioxidant known as flavanones which have a protective effect on brain cells. Researchers asked a group of 37 healthy, older volunteers (average age 66) to drink either 250ml of a high-flavanone orange juice (prepared from diluted orange juice) or a low-flavanone orange juice (made from orange squash with a similar sugar content and taste) twice a day, for eight weeks. After a month’s break, the volunteers then crossed over to drink the other orange juice for a further eight weeks. During the trial, participants performed a series of brain training tests to assess their memory, recall, ability to spot differences, and so on, to assess how clearly they could think. Their overall performance was significantly better after drinking the high flavanone orange juice for eight weeks, than after drinking the squash. 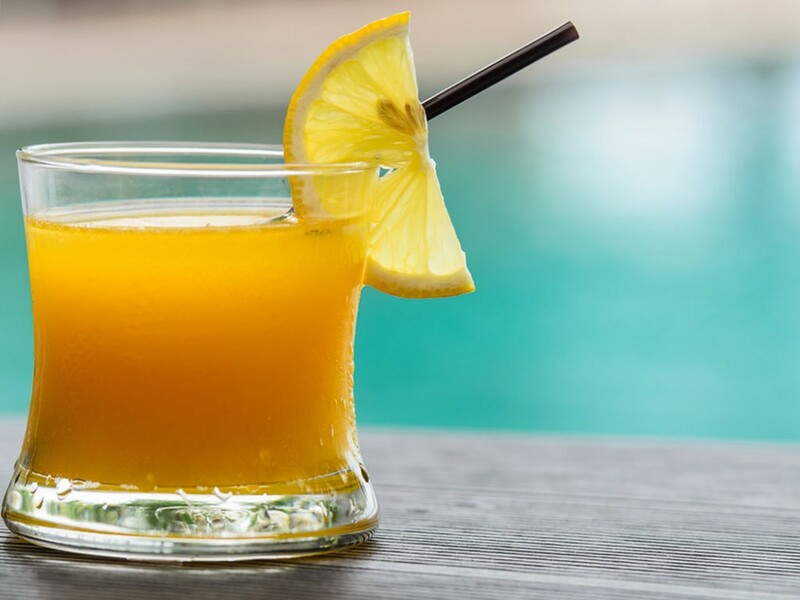 The researchers concluded that drinking flavanone-rich orange juice could help to prevent the age-related decline in mental performance seen in older people. So feel free to keep eating oranges or, if you prefer, to drink fresh orange juice to enjoy these brain benefits. Just cut back on sugars elsewhere in your diet – especially if you need to lose weight.